Here at Tuscola County Medical Care Community we understand staying in touch with your loved one can be difficult. We like to offer you many ways to keep in contact. Our "Email a Resident" feature gives you as a friend or family member the ability to write a personal message and have it hand delivered to the room of the resident. This is a wonderful way to write to a resident if you are not able to visit our facility. It's as easy as filling out the form. Alternatively you may also email mhornbacher@tcmcf.org and your thoughts and sentiments will reach your loved one. 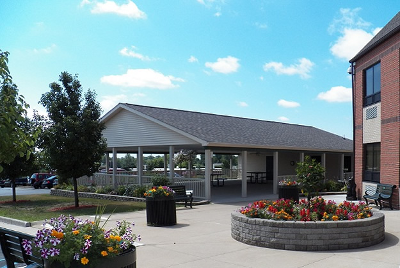 "Your Partner in the Life Continuum"
Tuscola County Medical Care Community provides superior resident care for a wide variety of medical needs as well as convalescence for post operative recovery and short or long term illnesses. All of our staff are equipped with the skills and knowledge to provide the best care for all your skilled nursing needs. Quality care is a 24 hour a day experience. All of our care is provided around the clock by professional licensed nurses and certified nursing assistants as well as unit specific RN managers and a community wide RN Supervisor. 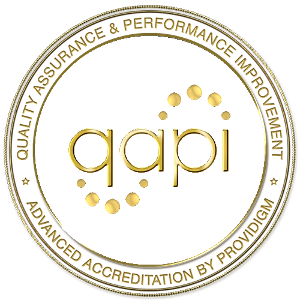 This ensures the highest level of care both day and night, after all, quality of care never rests. Dementia disrupts our loved one’s mental capacity and their ability to manage everyday life. 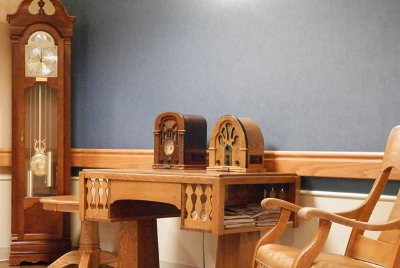 Our memory care units create a safe, and functional environment for those facing this adversity. Our staff are equipped with the skills and knowledge to manage challenging behaviors, promote independence, and provide the highest quality of care. Therapy is provided by Select Rehabilitation, a nationally known leader in the rehabilitation field. 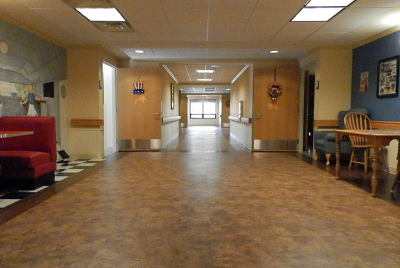 Each resident has a custom program design specifically for their rehabilitation needs. This program spans physical, occupational, and speech therapy as well as any wound care needs. Maintaining a strong, healthy body can be challenging. Our restorative department focuses on promoting resident wellness, preventing debilitation, and creating an atmosphere where residents can live full meaningful lives and function as independently as possible. 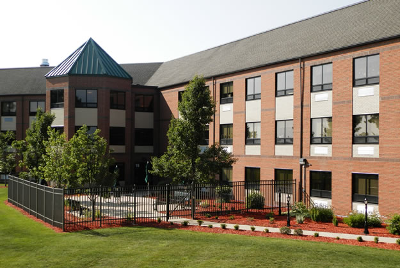 Campus accommodations include two 10-bed state of the art houses providing skilled nursing care in a family-style living environment, where every resident has a private bedroom and private bath. The main building offers 16 private suites with resident bedroom, separate living/visiting room and private bath. Also offered in the main building are 2-bed, semi-private "suites" providing each resident with his or her own bedroom area and a shared bath. All rooms are equipped with local phone service, basic cable TV and Wi-Fi internet as part of the room rate. 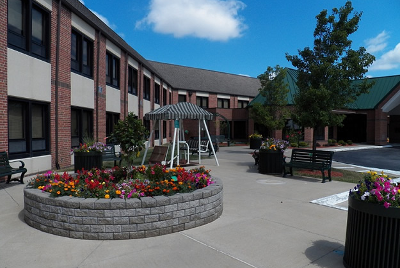 The Life Enrichment Department provides a diverse program designed to meet the interest and preference of our residents here at the Tuscola County Medical Care Community. 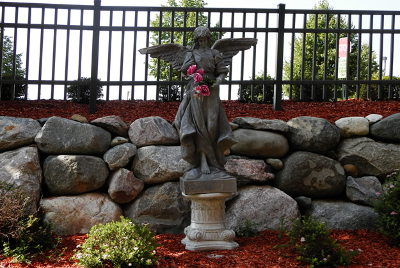 Areas of focus that are encouraged during participation in the program, as well as in residents person-centered care plans include: social, emotional, cognitive, physical, and spiritual enrichment. Here at Tuscola County Medical Care Community there are many different options for your loved one to choose from. 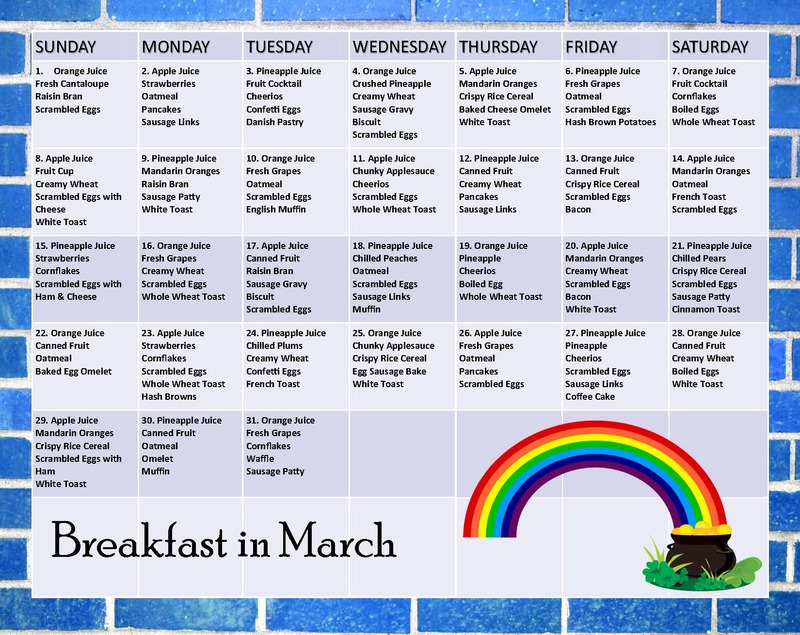 Residents are offered a liberalized diet with many options including a main menu, a secondary menu, soup and sandwich alternative, along with daily specialty items to accommodate all tastes and preferences. Our Admissions department is your point of contact for all the various aspects of placing your loved one in our care. We know how overwhelming this transition can be and we are here to help you every step of the way. Feel free to call, email, or stop by with any questions or concerns. We are available Mon-Fri 8:30am-6:30pm and by appointment for off hours and tours of the community. Want news and updates about TCMCC? 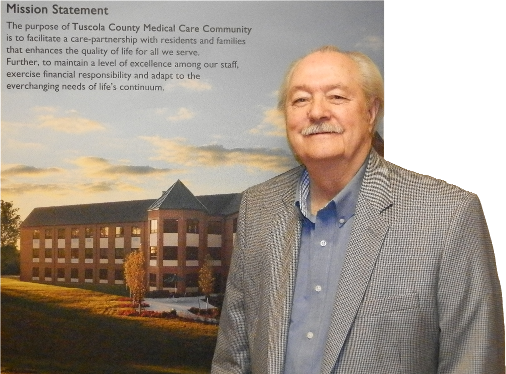 There are many ways to get news and updates about Tuscola Medical Care Foundation. Our news and updates page contains articles from staff, thank you's, important information and more. We post many fun and exciting posts along with important information and public announcements. Keep up to date and follow us on Facebook. Sign up for periodic emails to get news, updates and announcements right in your inbox. We promise to keep to our self. 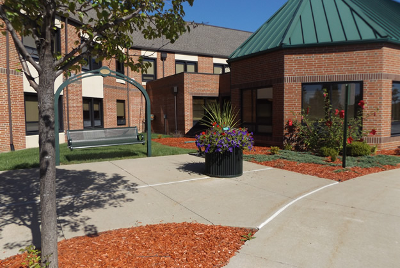 Meetings begin at 9:00am at the Tuscola County Medical Care Community main building. Meeting times are subject to change. All changes will be posted on the bulletin board in the Community's main corridor as well as this website. = Date has been changed. 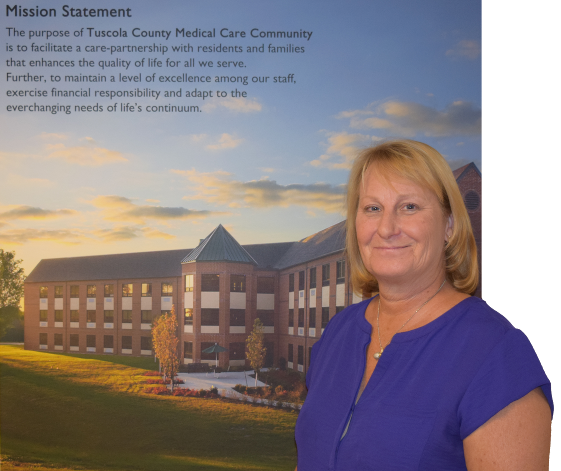 Tuscola County Medical Care Community is committed to conducting its business in a manner that facilitates quality, efficiency, honesty, integrity, respect and full compliance with applicable laws and regulations. The Facility and its governing Board have an on-going commitment to ensure that all operations are conducted in accordance with both the letter and spirit of applicable laws and regulations as well as the organization's own policies and procedures. 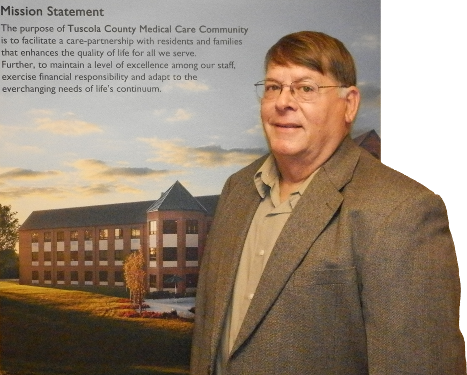 The Tuscola County Medical Care Community Corporate Compliance Program is under the direction of the Corporate Compliance Officer, who reports directly to the facility Administrator and as needed to the Board of Directors. The Corporate Compliance Committee is an inter-disciplinary committee representing all areas of practice within the organization. The Committee is responsible for developing and maintaining the Corporate Compliance Program, as well as regularly evaluating its effectiveness within the organization. The Corporate Compliance Officer and Committee are also responsible for overseeing any corrective actions taken to resolve issues of non-compliance. All employees have a duty to report issues of non-compliance. Disciplinary action can result for any employee aware of non-compliance, who does not report it. Common types of occurrences include: unethical or unprofessional behavior, fraud, theft, asset abuse, health and safety issues and/or conflicts of interest. Acts of intimidation, or retaliation against anyone who has fulfilled his/her duty to report non-compliance and/or participate in an investigation, are strictly prohibited. Anyone involved in acts of intimidation or retaliation will be subject to disciplinary action up to and including termination. You have the option to report a concern anonymously. However, please understand that an anonymous report m ay hinder our ability to perform a complete investigation if sufficient detail is not provided and we cannot contact you. This could impede corrective action. If you choose to provide your name and request confidentiality, we will attempt to keep your identity as private as possible. In some cases, we may be legally-bound to disclose your name to investigators, auditors or other persons responsible for oversight of our compliance program. Online - Making an anonymous complaint is easy click the link below, fill out the form, and submit. 24 hour telephone hotline - A 24 hour message hotline is available. Hotline Number: (989) 551-6822 you will be directed to a voice mail system. You will need to provide enough relevant information to start an investigation. Please be specific. Click here to view the complaint form to ensure you are leaving the correct information. Email - You may email a completed complaint form to complianceofficer@tcmcf.org. All hotline complaints are logged and investigated, and reports of those investigations are reviewed by the Corporate Compliance Officer who shall work with Management and the Compliance Committee to determine the appropriate course of action(s) to resolve the complaint. Corrective actions include steps to correct the identified problem(s) as well as revise procedures t o prevent similar incidents in the future. Michigan has 34 county owned medical care facilities providing person-centered care across the state. We are committed to quality, community and serving those most in need. County owned homes play a pivotal role in caring for residents as a Class III safety net provider. We want all who need our services to feel confident in the quality of care and comfortable in the surroundings. We offer a variety of services to support adults of all ages as they traverse life’s continuum. The Council provides the members with opportunities for quality education to stay current on issues of importance and share best practice, opportunities for networking, support and a voice with regulatory agencies. Community support and advocacy ensures that our future ability to meet the needs of some of our most vulnerable citizens is maintained for years to come. 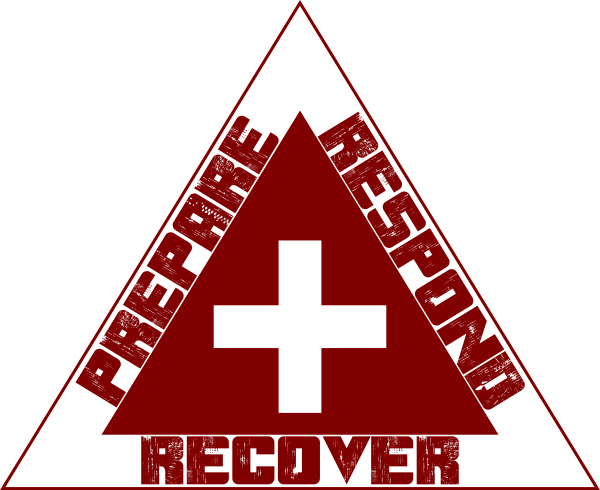 Emergency Preparedness planning and preparation are mandated by the federal government for all nursing homes in America. Several years ago, the requirements were intensified and defined. Having a written plan with many components for a variety of situations became an essential part of our operations. Not only do we have extensive and detailed plans we also educate staff, drill on different scenarios and discuss ways to improve with everyone involved. Recently, we had the opportunity to utilize our plan for a ‘gas leak’. An observant staff member recognized in the early hours of the morning that there was a potential gas leak on the main line leading into our building. He immediately set into action the necessary steps to notify staff and management. A full response of essential TCMCC staff and leadership occurred along with simultaneous notification and arrival of Tuscola Emergency Management and Consumers Power. The potential for evacuation was real and we were ready. Losing our main source of heat and meal preparation would make a move essential for the health and wellbeing of our residents and staff. Luckily, the gas was able to be left on while a repair was done to the ruptured line. Meals were prepared in electric ovens located in other parts of the building and crisis was averted. 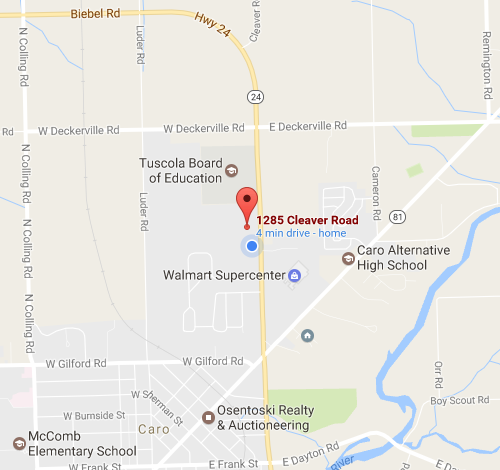 The responsiveness of Steve Anderson, Emergency Preparedness Coordinator for Tuscola County was reassuring. 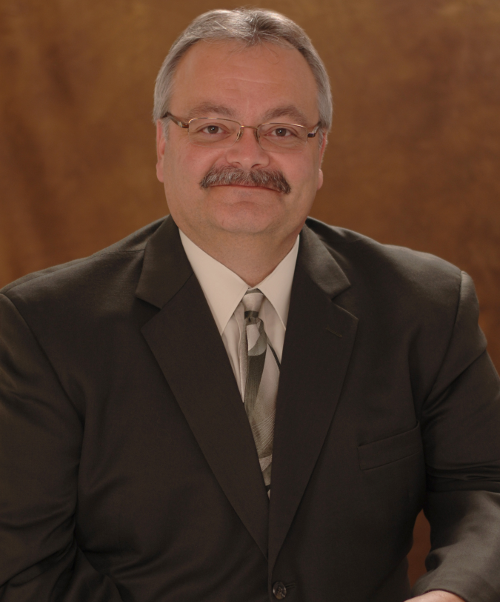 We are so fortunate to have him serving all of the citizens of Tuscola County. Consumers Power were on-site and on stand- by until the line was deemed safe; what great employees we have serving our area. Knowing that we are just a phone call away from receiving aid in a time of need makes all of us breathe easier. Thank you to everyone that was involved or assisted in any way! Please Be Advised! TCMCC 2-4-19 Consumer Energy has addressed the leak. We are back to normal business operations. Thank you to all emergency crews and all TCMCC staff for all you do every day to ensure we are all safe. Please Be Advised! TCMCC 2-4-19 **We are aware that an incident regarding a contained gas leak occurred about 1:30am this morning. Consumers Energy is on site and monitoring the situation at this time. Gas readings are being taken every half hour to ensure safety. All residents and staff are safe. There is no need to evacuate at this time. We have trained for this and we are confident that our staff along with Emergency Personnel will do everything in their power to keep residents and staff safe. Please help us keep our phone lines open by referring to our website (www.tcmcf.org) and our Facebook page for update as they are made available. Happy 2019! Another year to look forward to has arrived as bright and shiny as the Christmas ornaments that are now put away. Reflecting on the good year past gives hope and anticipation of new adventures, challenges, joys and sorrows. We cherish the privilege of being able to love and care for the citizens of Tuscola County and beyond requiring our services. Our culture of caring is steeped into everything we do. 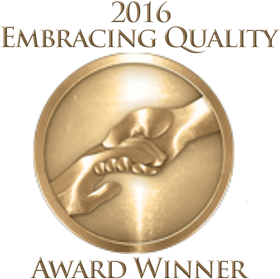 We will continue to strive to be the #1 provider of senior care in the area. Wishing all of you a New Year filled with love, laughter, joy and peace! From our House to Yours – Merry Christmas! Recently I was reviewing some of the cards and letters of thanks from previous and current residents and their family members. The expressions of sincere gratitude for the services we provide in a caring home like atmosphere, touched my heart. Knowing that our efforts are noticed and make a difference fills all of us with a sense of satisfaction. While it takes every employee doing their best every day, none of this would be possible without the support and guidance of our Board of Directors; Chairman Doug Hall, Vice-chair Sue Morris and member Mike Bearden. Collectively they make decisions that allow us to meet and exceed current standards of practice, maintain our building and grounds, plan for future growth and keep the entire work force satisfied. The roles and responsibilities of a nurse working in a skilled nursing care facility fall under a number of headings. Both RNs and LPNs make up our dynamic team that ensures high-level skilled services are provided to the residents in our care. We employ a total of 68 of the most dedicated, caring and professional nurses anywhere. May 6-12 is National Nurses’ Week. I encourage everyone to thank a nurse for the selfless duties they perform every day. When I think about all the patients and their loved ones I have worked with over the years, I know most of them don't remember me. But I do know that I gave a little piece of myself to each of them, and they to me, and those threads make up the tapestry that is my career in nursing. Many complex roles and responsibilities encompass the days of the hard-working and dedicated employees of TCMCC. 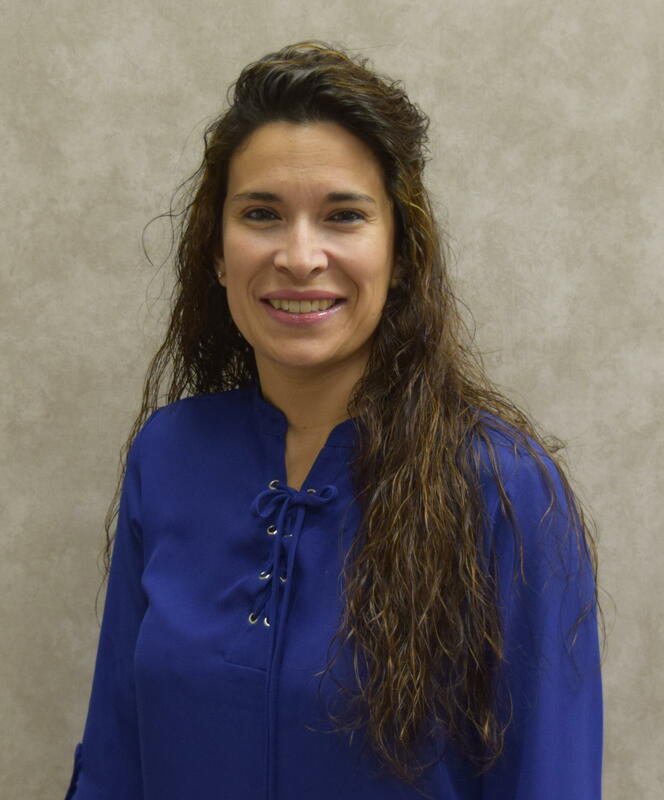 Our Personnel Department is led by Candi Huizar. Her right and left hands are Tracy Johnson and Lori Yates. They are responsible for maintaining the plethora of employee rules and benefits for our 350 employees. Their talents are many and their passion is unmatched. The Business Office is always a beehive of activity. Tiffany Parrish, the Corporate Compliance Specialist, is assisted by Kaylee Anderson and Abby Windsor. Together these ladies make up the ‘face’ of the community, greeting visitors, answering phones, ensuring the accuracy of resident fund accounts and compliance with the hundreds of rules that govern ethical business practices. With the transition to a mostly electronic medical record, we now employee one person to maintain the paper version of the medical records. Laura Killinger keeps these records safe and orderly while responding to requests for the release of information for treatment, payment, and operations. Cumulatively, these women help keep the show running smoothly and deserve our sincere thanks for jobs well done! 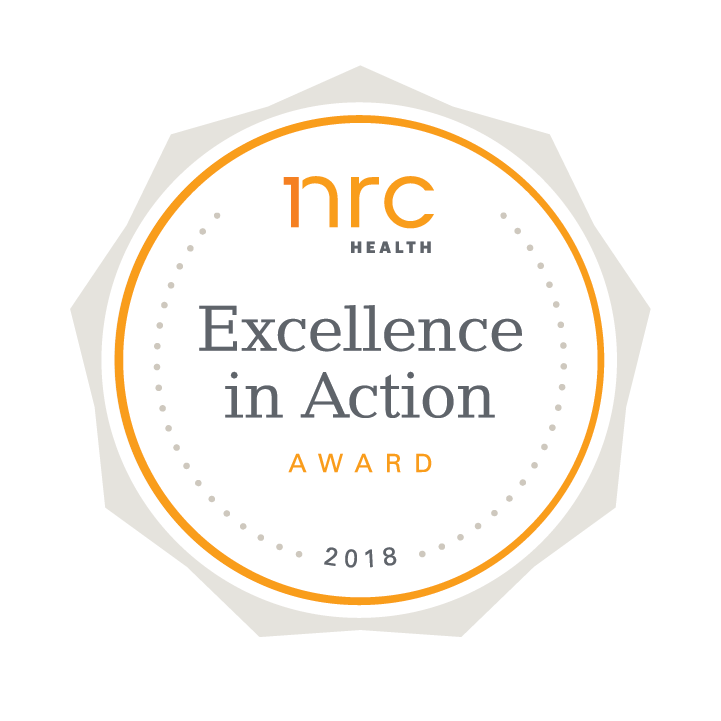 The American Health Care Association has awarded the Tuscola County Medical Care Community a Certificate of Achievement for attainment of AHCA Quality Initiative goals. Successful ventures of this magnitude can only be accomplished with team work and strong leadership. 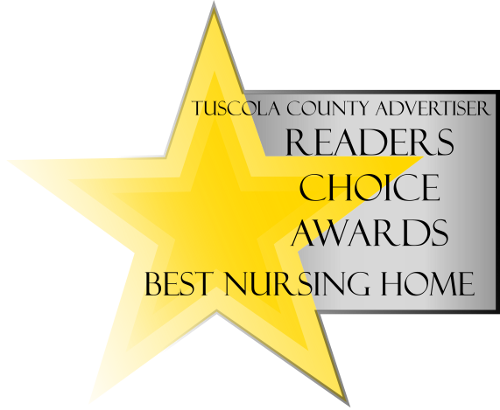 We are committed to being a leader in Skilled Nursing Care for the residents of Tuscola County and the state of Michigan. The role of the social worker in a long-term care facility is to enable each individual to function at the highest possible level of social and emotional wellness. At TCMCC we have 5 talented, dedicated and compassionate Social Workers. Under the leadership of Linda Partlo LMSW, this group of employees ensures that every resident receives assistance to adjust to a new and changing environment, make plans for discharge, and traverse the complexities of application for public insurance programs. Jeffrey, Ronda, Andrea and Mindy have dedicated units to ensure that relationships are forged and residents and their families know who to seek out for social and emotional assistance. 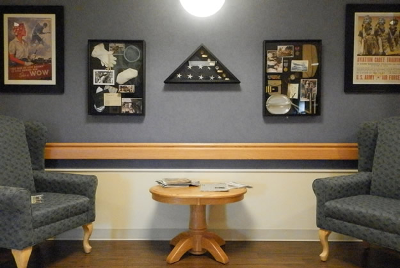 They also are integral in assuring that needs for equipment and home care are obtained upon discharge. The clerk for the department, Holly, assists with typing, filing, phone calls, scheduling meetings and appointments. She also is the staff liaison for the Resident Council meetings. 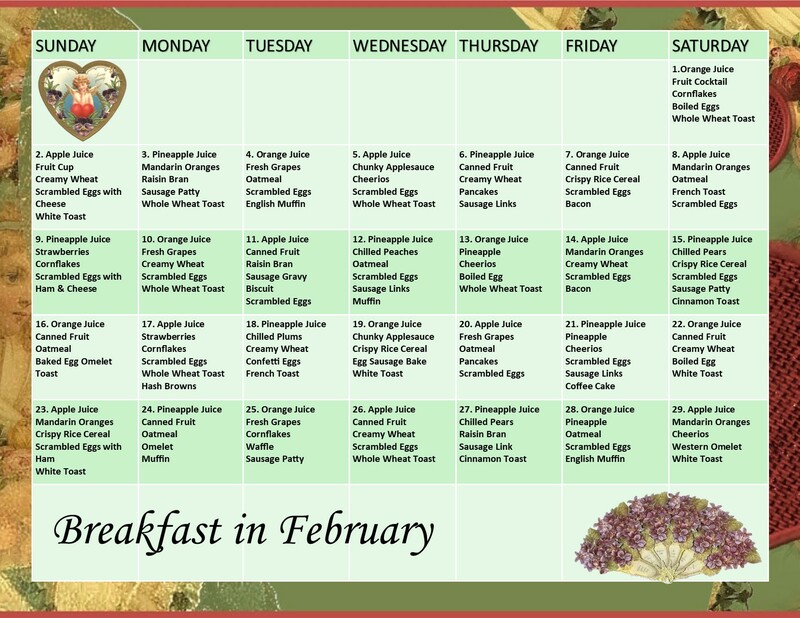 Culinary Services, at TCMCC, is led by Registered Dietician Michelle Rocco and Certified Dietary Managers Kelly Hillaker, Shelly Ball, Tonya Jones and Jackie Odette. They lead an amazing team of 25 Dietary Aides and collectively this group is responsible for shopping, preparing, and clean-up for over 150,000 meals a year! Food can be a very personal thing, considering that each individual has different preferences, tastes, and favorite recipes. All residents are interviewed for likes, dislikes, food allergies, and special dietary requirements related to diagnoses. This allows our culinary services team to effectively create menus that appeal to everyone. The kitchen is a beehive of activity as individual staff members perform specific duties for the single purpose of feeding our community. Many times a day tantalizing aromas filter through the hallways as the cooks and bakers prepare batches of delicious food for our residents. These hard-working people go the extra mile to serve a multitude of visitors during special events. If you haven’t had the opportunity to be part of the ‘Resident Family Thanksgiving Dinner' or 'Summer Picnics’ you're missing out on a real treat! We deeply appreciate all of the Culinary Services management and staff. 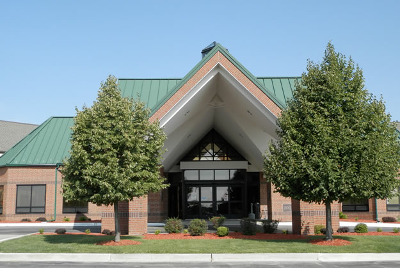 2018 is a significant year for TCMCC, we are celebrating 60 years of serving the needs of the elders in our area for short-term rehab and long-term care. Throughout the year I will be introducing the departments and staff that work together to ensure that we give high-quality care, enrich and maintain the quality of life and conduct business in a fair and ethical manner. Please meet our Life Enrichment Department. This group of dedicated employees is led by Julie Shaw, MSW, APBC, CDP. Julie has 18 full and part-time certified nursing assistants that are responsible for bringing fun and pleasure to our residents. These dedicated ladies are here from 7AM to 8PM, 7 days a week. 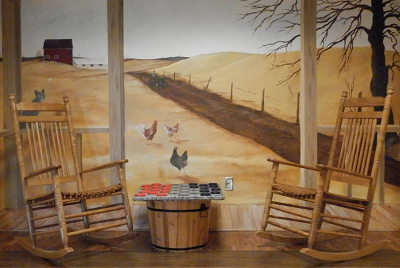 Each unique area of resident living enjoys unit-specific activities such as a coffee hour, visiting, decorating their dining areas and playing cards and games. Many events are held in the larger gathering areas such as the Community Room. There you will find special music events, bingo, bowling and holiday parties. 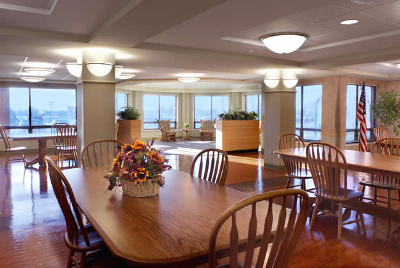 The Life Enrichment Room on the 2nd floor is where you may find residents gathered for ‘messy’ fun such as painting, baking, movies with popcorn and a variety of crafting. All structured activities are optional for resident attendance. Some folks prefer the solitude of time in their rooms watching TV, reading, visiting with family and friends or enjoying a nap. We have a wide variety of options to share for in-room diversions such as books, magazines, DVDs and friendly visits. These are a ‘fun-loving’ group that goes above and beyond to ensure that every day is special! Now that we have entered 2018, the Forget-Me-Not’s hope for good health , happiness, comfort and of course good food to enjoy. Since this winter has surely started out with the extremely cold temps, keeping warm is necessary. Thank you to the family who left a memorial gift to the Forget-Me-Nots. All funds are spent on items used by the residents. Our last purchase was a roll down movies screen in the Lifelong Enrichment room. We will be paying ½ the cost of the new aviary which should be arriving soon to the community. Keep warm and stay healthy in the New Year. 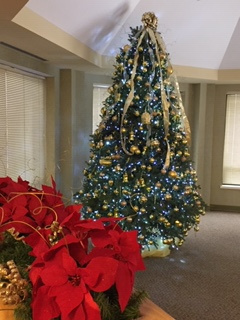 We have been busy preparing for the celebration of Christmas and all that this special season has to offer. 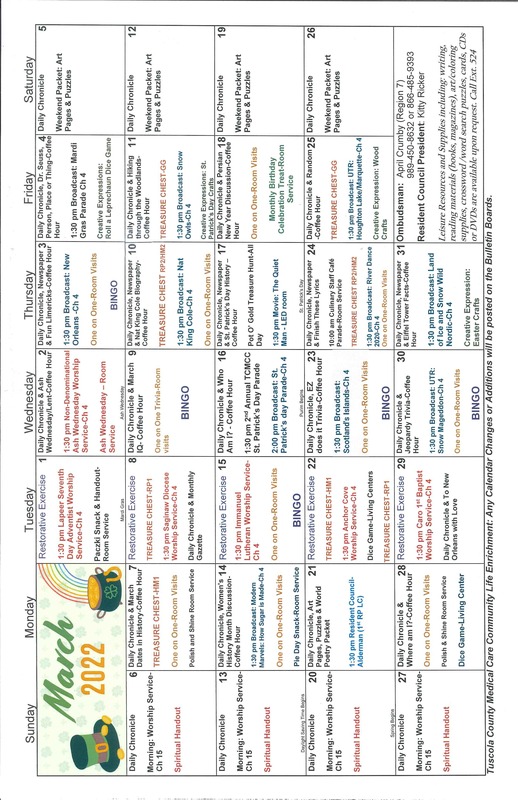 There are several Life Enrichment Activities planned for our residents that friends and family may enjoy also. ‘Arlyn at the Piano’ will be present on Friday, Dec. 15 @ 1:30PM. A Hand-bell choir concert will be presented on Monday the 18th at 6:30PM. 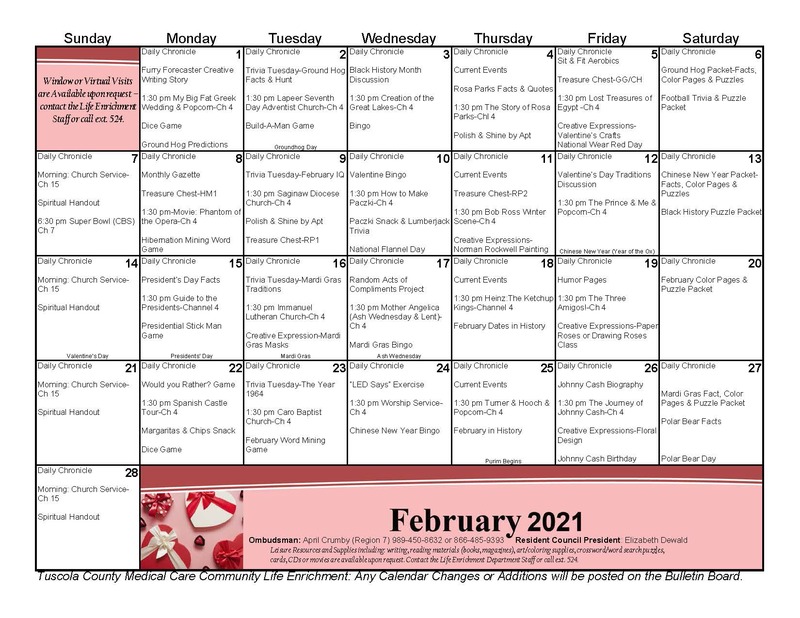 Please consult our Life Enrichment Calendar for the entire list of events and activities. Christmas Day meal tickets are available now through Dec. 15 at a cost of $6, available at the Business Office. There is a limit of 2 tickets per resident. Community Room tables and Conference Rooms can be reserved to hold resident family events. Guidelines and reservation are also available at the Business Office .You may call 989 673-4117 for further information. Please remember our residents as you are completing your holiday greeting card list. A thoughtful message from family members, friends and previous neighbors mean a lot. If you have questions about gift giving, decorations, treats or outings please contact the individual resident’s nurse for further details. We feel bad when you bring something and have to take it back home. The Forget-Me-Nots have offered to pay ½ of the cost for the last Aviary needed at the Community. 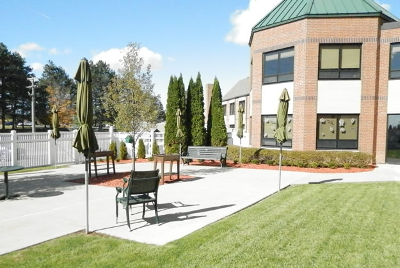 We are thrilled to provide such enjoyment to the residents. People ask how we get our funds to purchase such large items. Sadly, it is from memorial funds specified to the Forget-Me-Not’s. We cannot divulge the names of each donor but you are a blessing to the resident’s at TCMCC. When you ate your York Mint on Thanksgiving, did you say, “Wow, only a few weeks before Christmas.” And ,” I hope Santa can find me.” He has never missed a Christmas visit yet, so you can breathe a sigh of relief. This is the time of year that we reflect on the things for which we are thankful. Being part of this Community and having the opportunity to provide high quality of care and enrichment to add quality of life to the residents in our care is number one on my list. For the employees that dedicate themselves to ensure all of the details of supporting and maintaining our elders whether for a short stay or long term we are grateful. We are appreciative of our Board of Directors that provide guidance and direction, make decisions and support our Mission and Vision. The ‘Forget-Me-Nots’, a group of ladies that raise funds to bring special musicians to our community, furnish holiday treats, purchase extras such as small appliances, gardening equipment, bird aviaries and many other items we are forever indebted to you. Many volunteers give of their time and talents in big and small ways to support us. You are a blessing. To the entire population of Tuscola County that supports us via our millage to help sustain the buildings that make TCMCC a point of pride for our residents, we are thankful for you. Take time to reflect on the things that fill your heart with gratitude and joy. 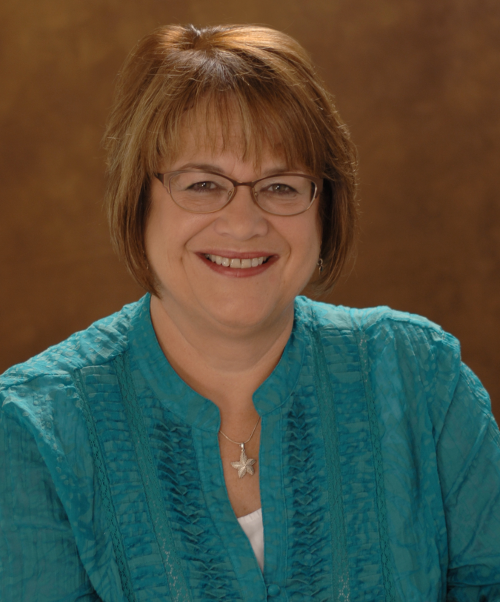 Former Tuscola County Medical Care Community Administrator, Margot Roedel was honored at the Health Care Association of Michigan (HCAM) Convention with induction as a Lifetime Member. Margot’s contributions to long-term care, longevity in the field and commitment to promoting person-centered care were mentioned by David LaLumia, HCAM President /CEO during the presentation. HCAM’s mission is to promote excellence in senior care by providing support, information, and advocacy on behalf of their membership. Fall is now officially upon us with shorter days and cooler nights, refreshing after a very warm September. As we move into this new season, we look forward to some Halloween fun. 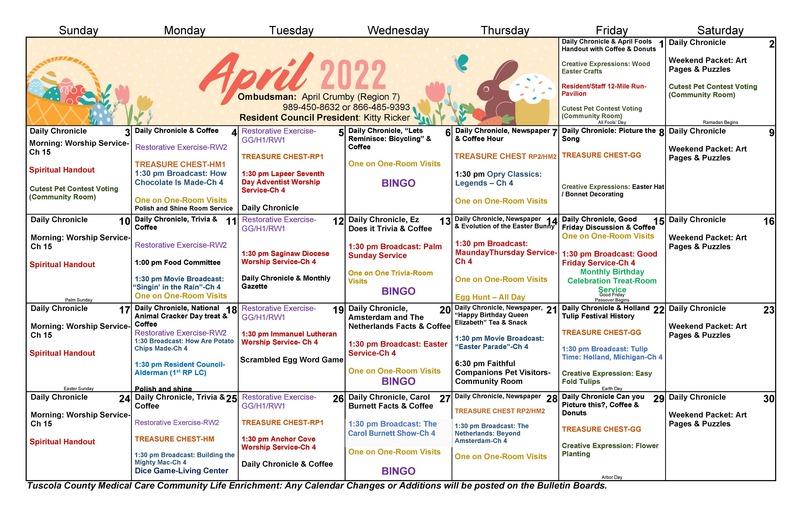 Special activities planned at Alderman includes a Halloween Themed Party, while Baldwin and Cortland residents have both chosen to have staff’s children trick or treat. Our fall line- up of outside chores will begin soon. The maintenance crew will be emptying the lawn sprinkler system of water to prevent freezing and breakage of lines, the window washers will be here for the semi-annual cleaning of all the windows…hmmmm, I wonder how many there are? 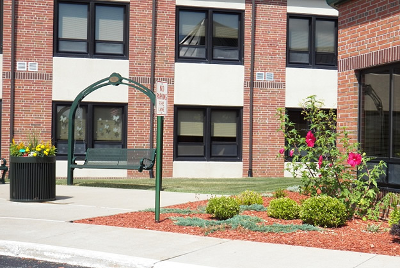 Our beautiful summer flower beds will be cleaned out and put to bed and salt laid in for Old Man Winter’s arrival. Just a heads up that we will again be hosting Thanksgiving Celebrations for residents and up to four (4) guests each at various dates during November. Invitations will be sent to the responsible party as identified on our paperwork. The Responsible party can pass the word to others as per the desire of each individual resident. 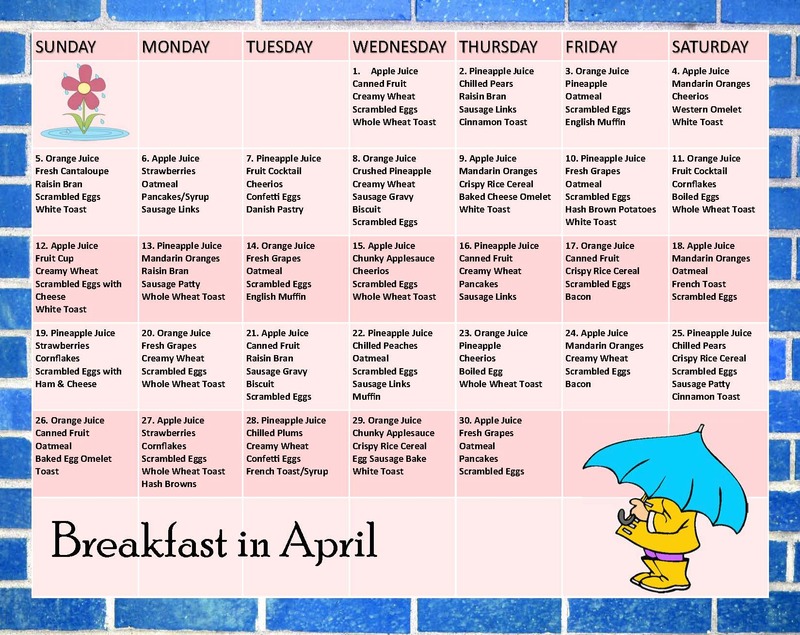 All Thanksgiving meals will be served during the week at the lunchtime meal. Our Culinary Services staff prepare these delicious meals for Alderman and the Elder Assistants at the Small Houses do their own cooking. Turkey and all the trimmings coming up! In the words of Hal Borland, “Of all the seasons, autumn offers the most to man and requires the least of him.” Enjoy the season everyone! It was so nice to see so many of you come out to enjoy the annual company picnic on Saturday! Seeing the looks on the children’s faces and hearing the numerous compliments on the food and fun made my day. Special thanks to our wonderful Personnel Department, Candi Huizar, Lori Yates and Tracy Johnson for their time and attention to ensure all of the details of the day were carried out to perfection. Even though fall is officially here, we should still be able to enjoy the outdoor gliders and protective cover in the huge pavilion occasionally. We are really blessed to have so many entertainers willing to perform for you monthly. The Forget-Me-Nots congratulate and welcome the new Administrator. September makes me think of new shoes, fresh boxes of crayons, sharp pencils and learning new things. New beginnings are exciting! There continues to be new things here too. Two of our departments have been re-named to better reflect the diversity and depth of their duties. Laundry/Housekeeping is now ‘Environmental Services’ and Dietary is now ‘Culinary Services’. It always takes time to get all of the badges, paperwork, signs, etc. changed but we are working on all of these items. Over the past month, I have spent time with Department Heads and their staff learning more about everyone’s duties, job responsibilities and how they accomplish the things they need to do. Believe me, this education was an eye opener. The pride of the employees as they go about their jobs and the level of caring for our residents goes beyond impressive. 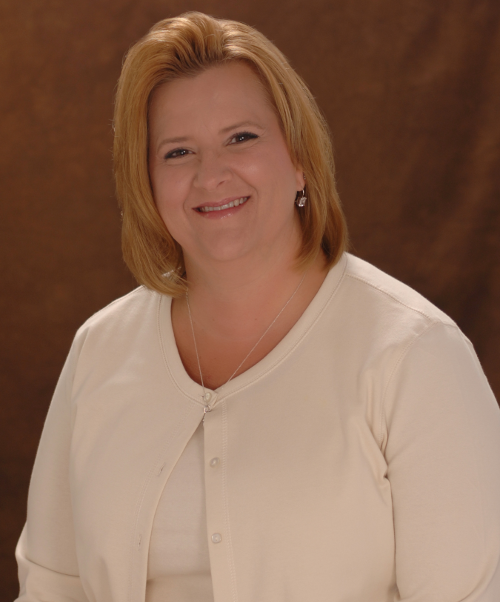 Rachel Curtis RN has assumed my previous role as the Chief Nursing Officer. 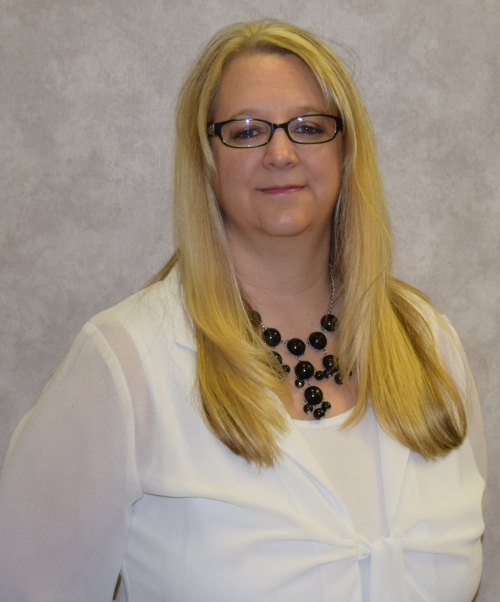 She earned her Bachelor of Nursing degree from Saginaw Valley University in 2011 and joined our team in May of 2012 as the manager of the Restorative Department. Some of you may even remember her from her days as a restaurateur at Rachel’s Depot. Her leadership and management skills will be an asset to our Nursing Departments and the entire TCMCC team. Please welcome her to her new role. As always we are here to serve you as we strive to be the premiere provider of long term care and short term rehab in Michigan.